Before you can manage time, you have to know what it is, right? . . . (Just nod your head up and down). . .
an instance or single occasion for some event; "this time he succeeded"; "he called four times"; "he could do ten at a clip"
a period of time considered as a resource under your control and sufficient to accomplish something; "take time to smell the roses"; "I didn't have time to finish"; "it took more than half my time"
an indefinite period (usually marked by specific attributes or activities); "he waited a long time"' "the time of year for planting"; "he was a great actor in his time"
a suitable moment; "it is time to go"
clock: measure the time or duration of an event or action or the person who performs an action in a certain period of time; "he clocked the runners"
a person's experience on a particular occasion; "he had a time holding back the tears"; "they had a good time together"
clock time: a reading of a point in time as given by a clock; "do you know what time it is?"' "the time is 10 o'clock"
Then there are the scientific topics regarding time. Physics and motion can alter time. Psychologists note that our perception of time alters depending on our circumstances and stimuli. Then there is God’s time. The great spiritual writer, C. S. Lewis [Author of the Chronicles of Narnia], referred to this as “God’s unbounded now.” Now is the moment (right now) and what goes forward into “timeless” eternity. He went on to suggest that the Christian view of time is not so different from the scientific view. Physics theories state that all moments exist equally, at once. It is only our conscious minds that distinguish the past, present or future. There are enough theories and topics out there to make you dizzy! So how do we manage time? Well, for most of us, all we really want or need is a little help managing our priorities, our calendars and dealing with that nagging alarm that goes off far too early every week day! The reason I gave you all that lovely detail above was not to bore you . . . (do I hear snoring?) . . . but rather to bring these things to mind so you can examine them. A part of time management revolves around our goals and belief systems. These goals and beliefs drive our priorities. If we believe that something is important, we always find time to accomplish it. 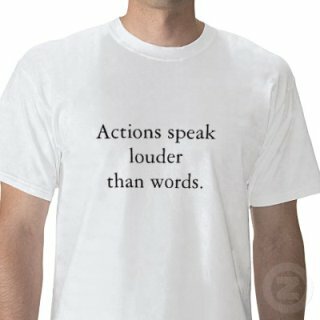 However, often we find that what we say is important may actually be different than what we actually do. Often we tell ourselves (and others) what we think should be the priority when, in fact, it is not a true priority for us. In other words we tend to tell people (including ourselves) what they want to hear. In our media driven culture today, how something appears is often more important than what the reality is. We want to appear a certain way. We want to look and, perhaps, be a good person. We tell ourselves that we want to accomplish things (loose weight, get out of debt, attend church regularly, etc. ), yet we don’t accomplish them. We say we don’t have time. But is that true? Modern culture today tends to tell us that if we don’t get what we want, it’s someone else’s fault (e.g. discrimination, my rights were violated, etc.). This attitude has become pervasive in our litigious society. This is known as “blame shifting” and/or “victim mentality.” Neither of these mindsets will get the changes we say we want. By examining your life (and possibly your checkbook), by talking to your spouse, your children, parents, co-workers, etc., you can get a better, more realistic, perspective about yourself and your true priorities. What you do with your time . . . how much time you spend on what and with whom . . . shows where your true priorities are and what is really driving you. The point of all of this is to get you to examine your life and determine what your true priorities are. You must get a handle on this before you can proceed to work on your calendar. Only after you’ve done your self-examination, will it be truly profitable to work on those conflicting calendar priorities.